Thankfully, she didn’t seem upset about this fact. It’s just how it is to her. She doesn’t know that not every mommy takes photos of the food before the family can eat. But it made me realize that perhaps I should start setting up a photo plate (or bowl) in the kitchen away from the family gathering at the dining room table. 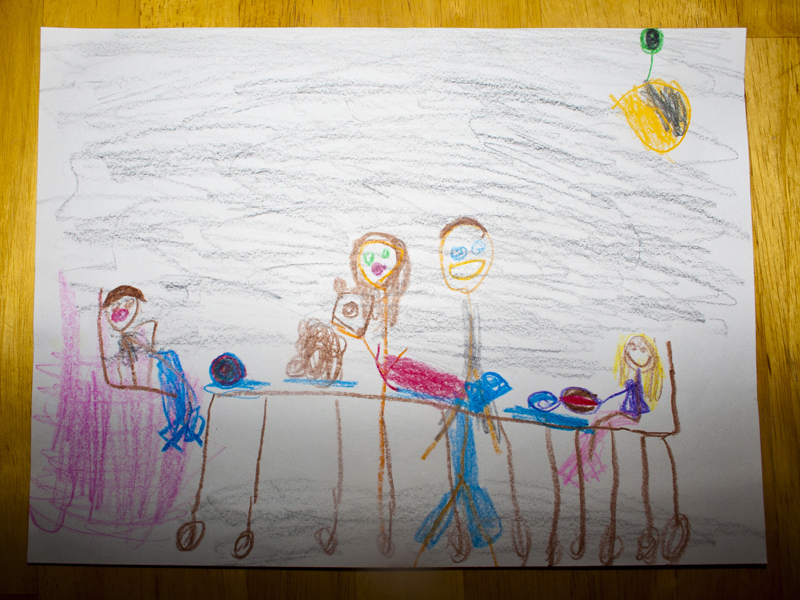 You know, so that the indelible memory of me at the table isn’t quite so accurately portraying Bakerlady instead of Mommy. That girl, I tell you. She notices everything. Everything. So now you know my secret. I pretty much have a camera permanently affixed to my face. Even at the dinner table. At least, that’s how it seems to my kids. All for you folks. All for you. Now for a blurb about the food. 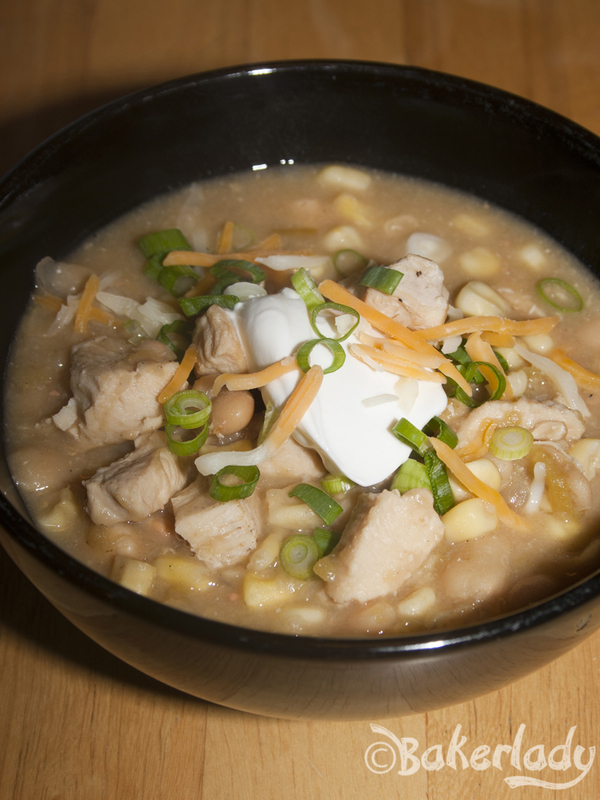 You’ll adore this white chili recipe. 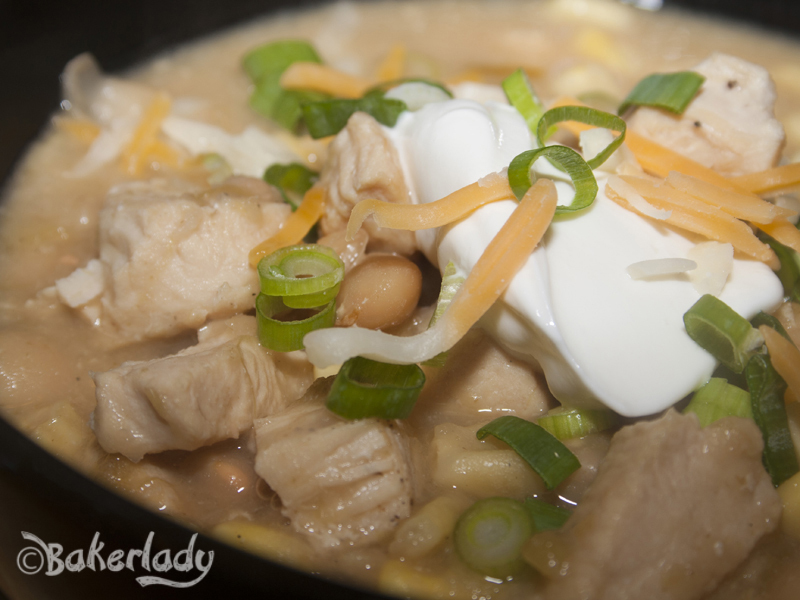 It’s great for autumn, full of delicious grilled chicken, hearty beans and warm fragrant broth. Perfect for the cool evenings ahead. It’ll even warm you up if your child has suddenly made you feel as if ISO runs thru your veins. 1. Cube the chicken. In a large saucepan, brown over medium high heat in a little olive oil. 2. Remove the chicken to a plate and in the same pan, saute the onion until just softened. 3. Add the garlic until fragrant (about 60 seconds). Add 1 cup of the broth and use it to scrape up any brown bits on the bottom of the pot. 4. Puree one can of the rinsed beans with a little bit of broth and add to the pot. 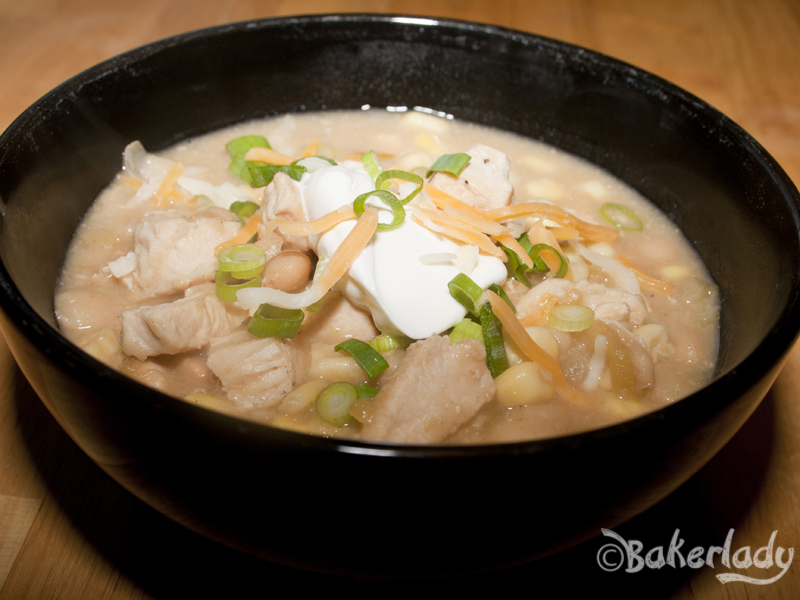 Then add the other two cans of beans, the broth, the cooked chicken, corn, all the spices and chilies. 5. Bring to a boil, then turn heat down and simmer 1 hour. 6. Serve topped with sour cream, cheese and sliced green onions. Doesn’t it look delicious?! Mmmmm. Tastes fab too! Better a camera than your iPhone! You’re an AMAZING mom.